It’s been a wild ride since I last updated you guys. 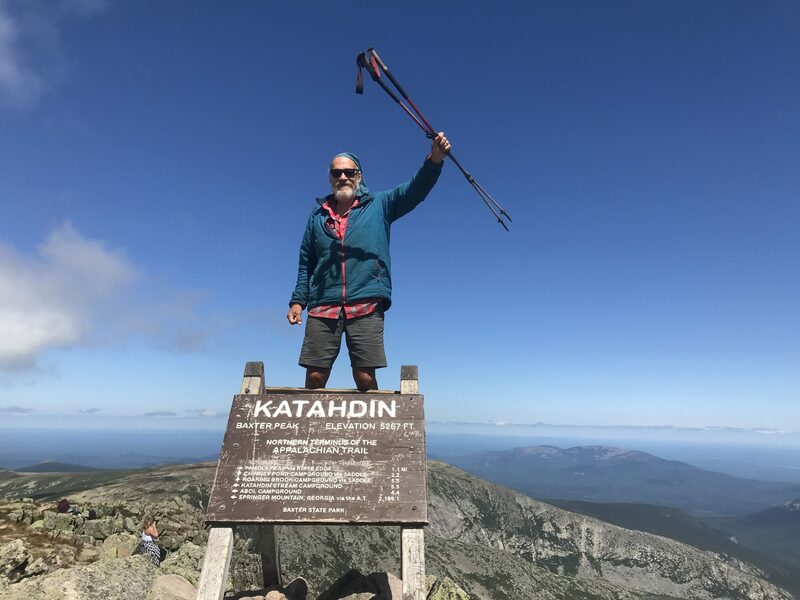 I finished Maine, summited Mount Katahdin, made my way back to where I started in Connecticut, hiked with my wife for a week, had eye surgery, and went home to recuperate for a few days. But let me back up to where I last left off. 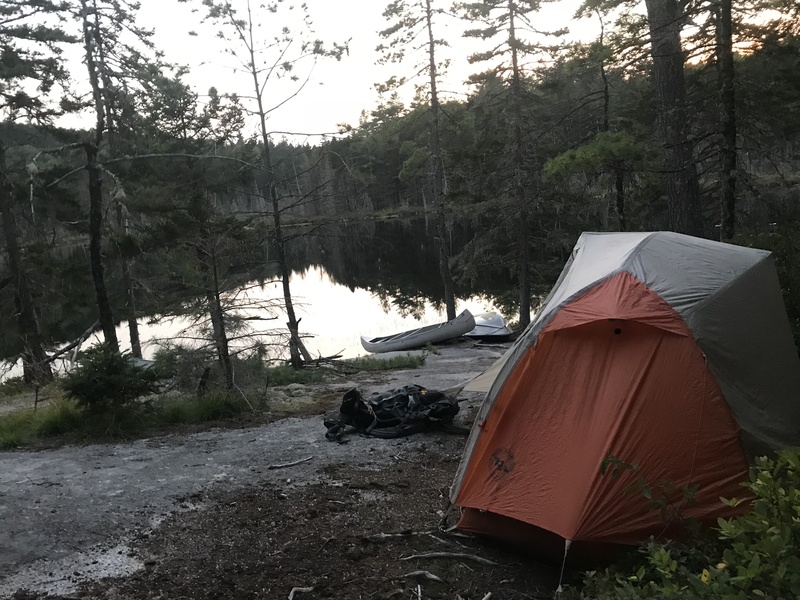 The last section in Maine is known as the 100-Mile Wilderness and it was my favorite so far. 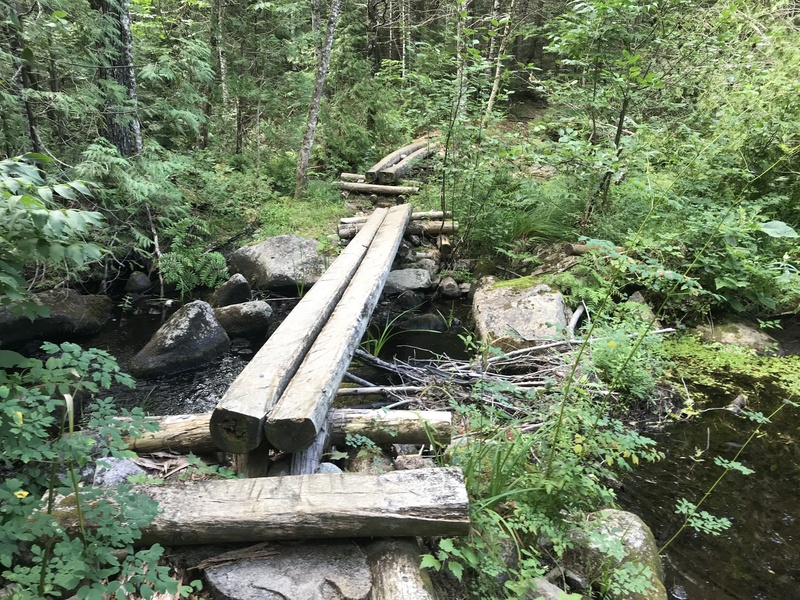 It’s 100 miles of trail without any towns or paved roads. In addition to some spectacular mountains it also has an abundance of unspoiled lakes and rivers along with some incredible waterfalls. There were opportunities to swim every day and I took full advantage. 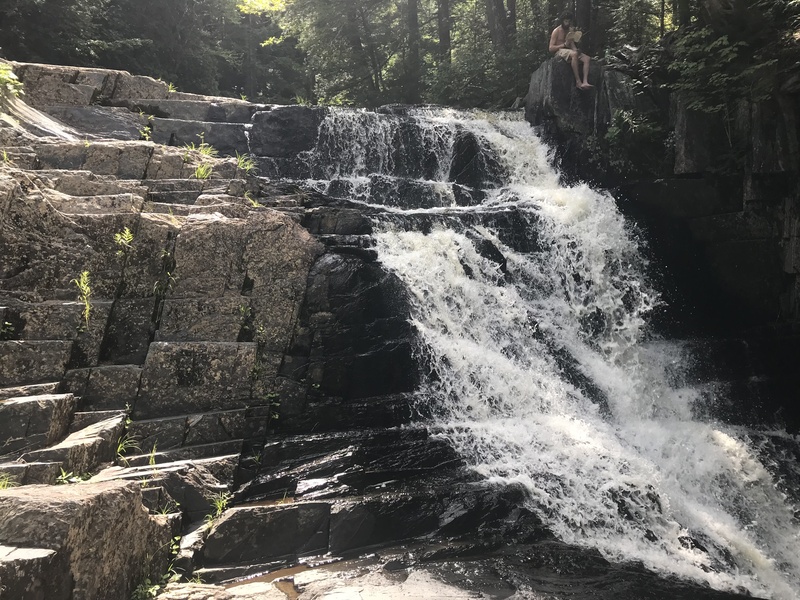 The coast of Maine gets all the glory but inland Maine has a certain charm that needs to be experienced to understand. 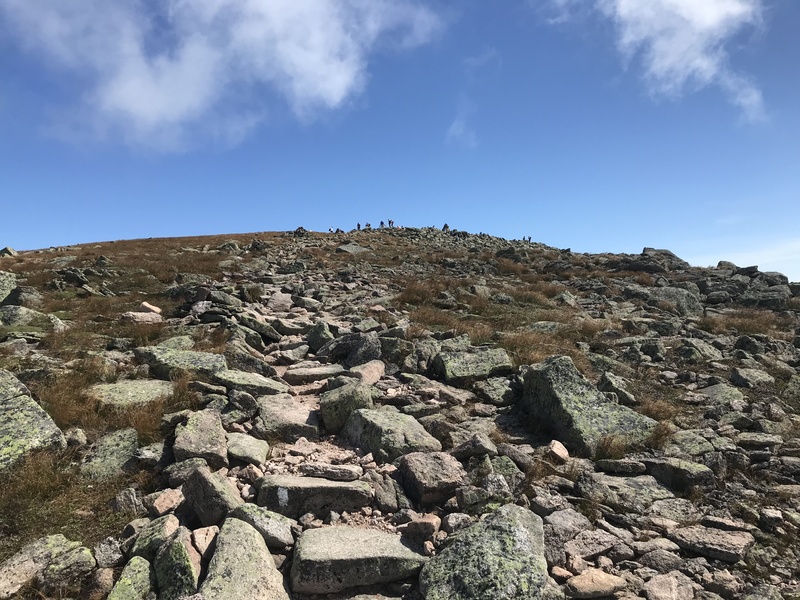 The northern terminus of the AT is Mount Katahdin, which lived up to its reputation. It was without a doubt the most challenging day I’ve had so far, but worth every ounce of effort. 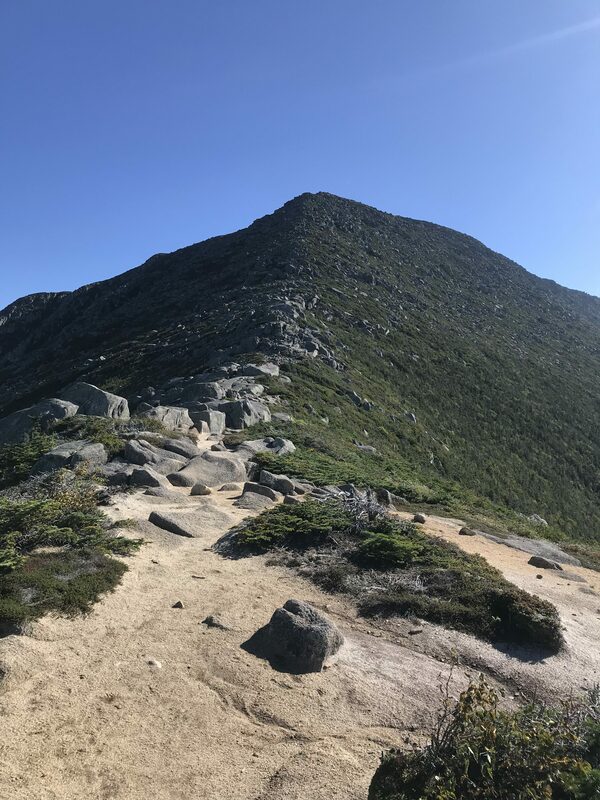 It was more mountain climbing than hiking and included some technical boulder scrambling that had a few spots that pushed my limits. 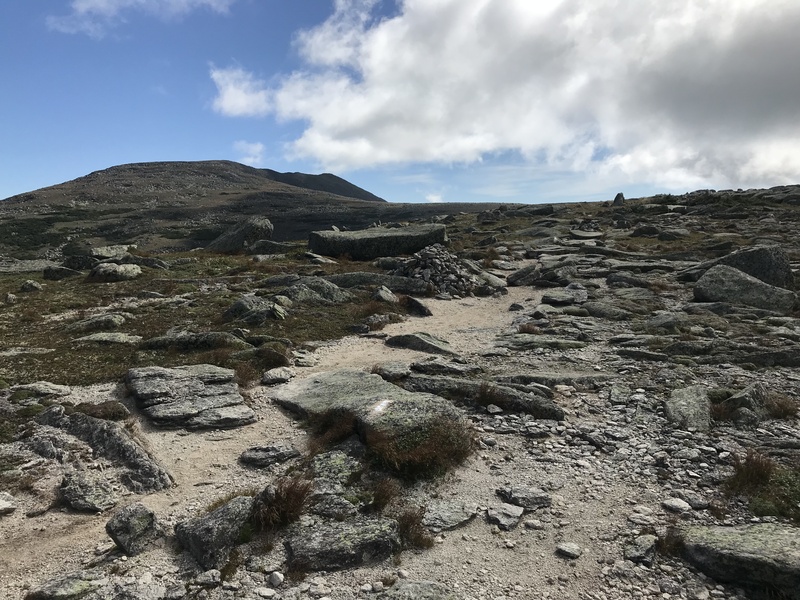 After celebrating in Millinocket for a night I grabbed a rental car in Bangor, ME, and drove down to where I started in Kent, CT, to start hiking south. 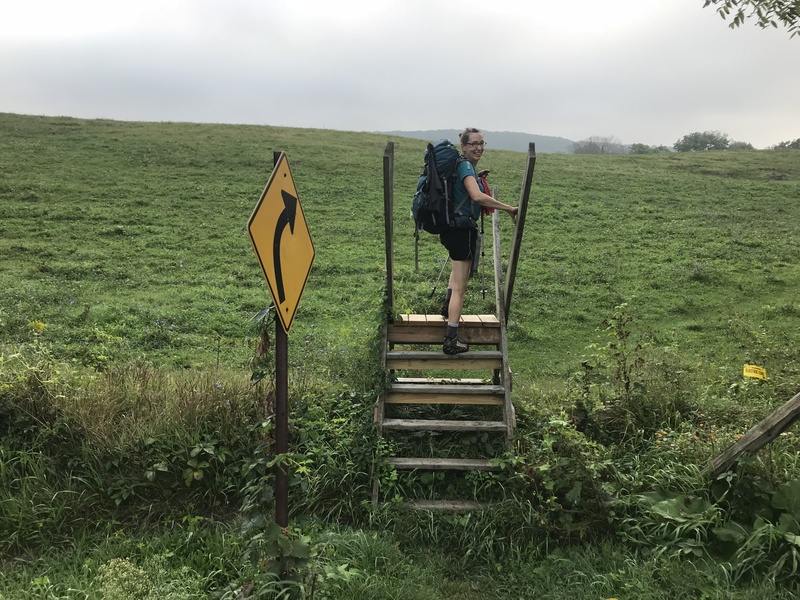 My wife met me in Connecticut to hike with me for five days and we made it into New York. It was great to hike with Sue and we had quite few memorable moments, including seeing my first bear. Actually, it was two bears; a momma and her cub. The cub ran straight up a tree and momma ran off and hid in the brush. Needless to say Sue and I got out of there quickly. Sue also got a chance to experience the AT deli run through CT and NY. It seems like there’s a deli or pizza joint within a mile of trail at every road crossing. 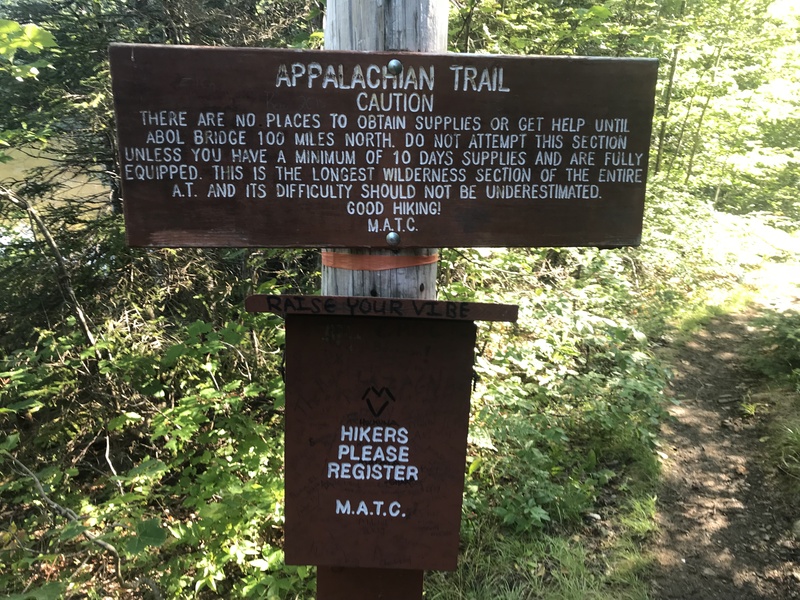 We took full advantage, including having a pizza delivered to us on trail at the RPH Shelter. There’s nothing like roughing it with a fresh pizza delivered to your tent! We also spent a night camped at Tony’s Deli playing gin rummy, drinking beer, and eating pastrami sandwiches. Incredibly fun. While we were together I mentioned that I’ve been seeing things floating in my vision in my right eye. Thankfully, Sue talked me into seeing an eye doctor and she made an appointment in Connecticut. The appointment was on the morning she was driving home so my backpack was all packed and the plan was for Sue to drop me back at the trail on her way out of town after my appointment. 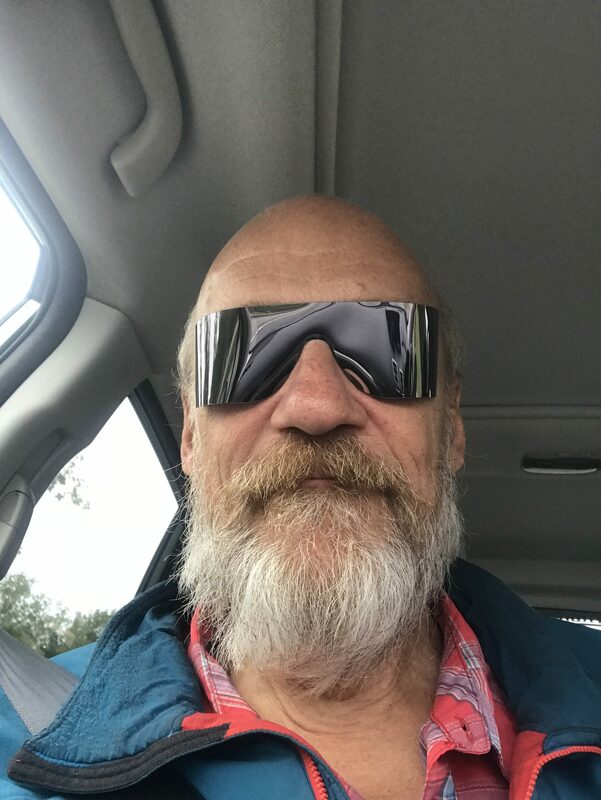 That all changed quickly once the doctor took a look at my eye and noticed I had a tear in my retina. Fortunately they were able to get an eye surgeon to come in to do laser surgery on a Saturday. However, I was told to take a break from hiking to let it heal so I drove home with Sue. It brought me to tears but I’m so thankful that we took care of it. 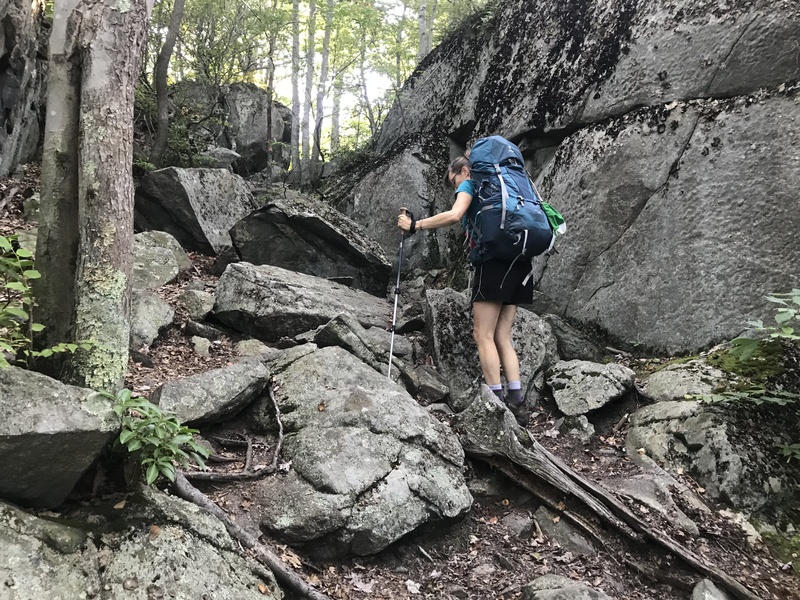 I am now on my way back to New York to continue hiking south toward Georgia. It was nice to be home and see family and friends but it feels really good to be getting back on the trail.